In the meantime try to hold the fortress as best you can. If the time should come that you can no longer hold on to the place you should try to come to some understanding with either Jacatra or the English. It is our opinion that, if such an emergency should arise, you would be better by surrendering to the English. In the end the fortress survived and Jan Pieterzoon Coen returned with enough men and materials to build Kasteel Batavia and the adjacent walled city expanded under Dutch rule. Modelled after a typical port city in the Netherlands, it lay at sea level so that small boats had direct access to the city and the warehouses. 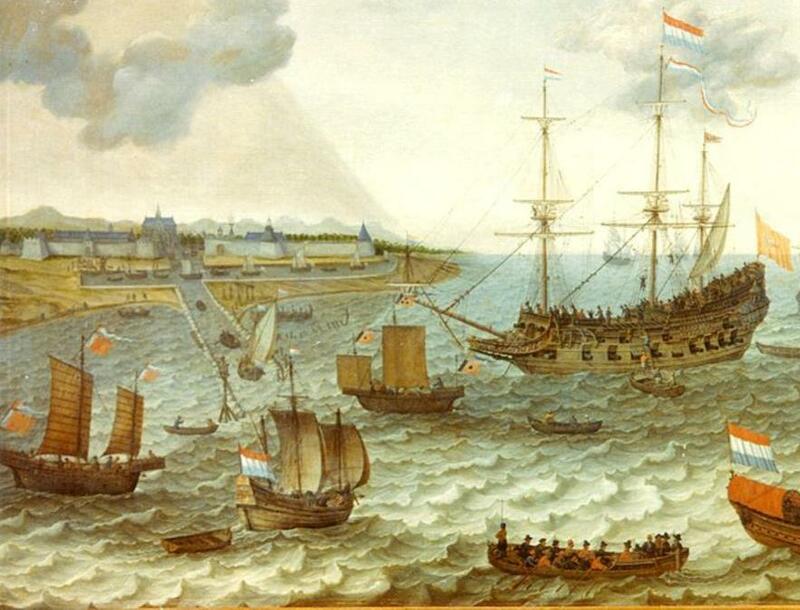 This painting made in 1649 shows small boats loading and unloading goods from the warehouses in Batavia to the large EastIndiaman waiting to sail to the Netherlands. Kasteel Batavia is shown on the left of the main canal and the spice warehouses or the Westzijdsche Pakhuizen are on the right. 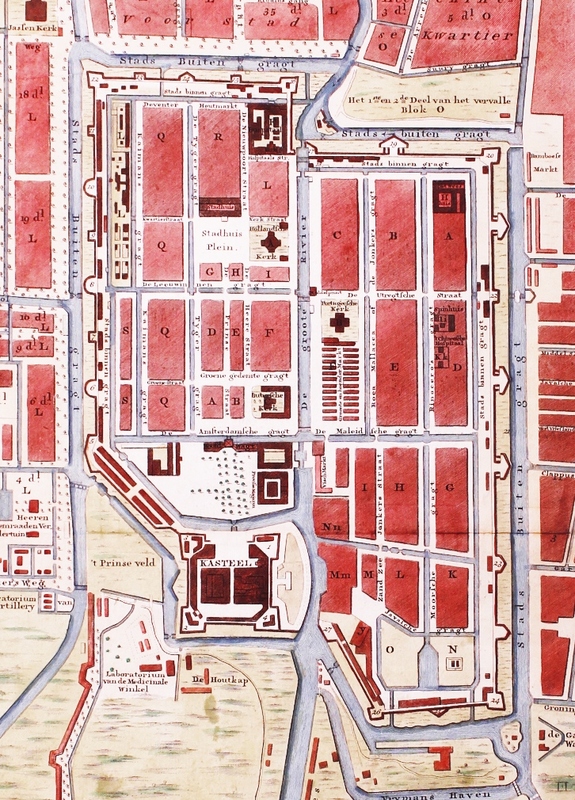 This map from 1780 is of Batavia at the height of the trading power of the United Dutch East India Company and shows the outline of the walled city with the Kasteel Batavia able to protect the city, the port and main canal that enters the city. Here is a 1656 painting which shows the imposing Kasteel Batavia in the background. 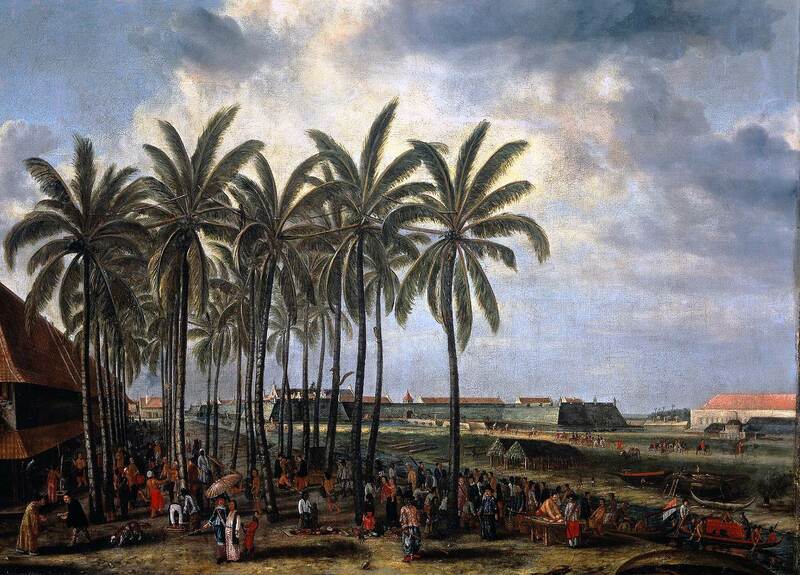 In the foreground there is a market scene on the banks of the main canal showing daily life in Batavia with the Dutch, Javanese, Ambonese, Chinese and Arab residents of the city. 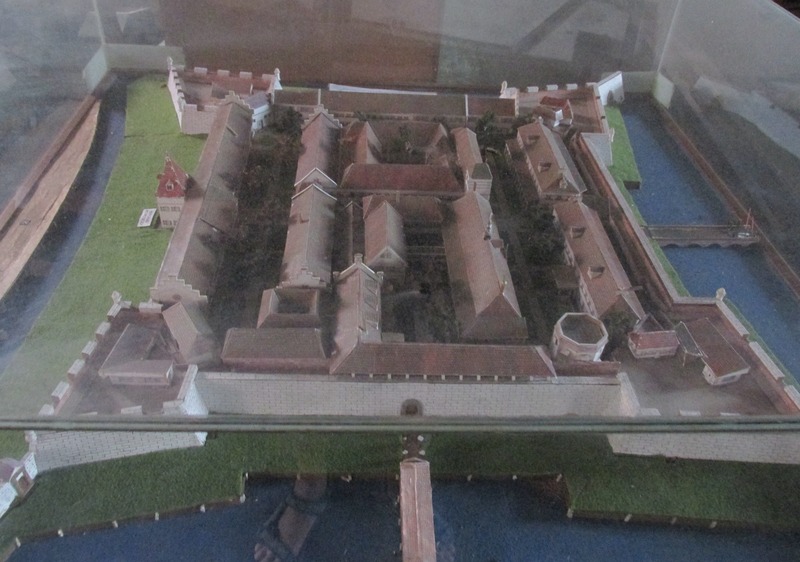 As this model from Museum Bahari or the Jakarta Maritime Museum shows the Kasteel was packed with the offices and buildings required to manage the vast commercial empire of the United Dutch East Indies Company which extended not just across the Indonesian archipelago but also to India, Sri Lanka, Malaya, China and Japan. You may notice that the watergate which provided access from the canal and would have been at the bottom of this image is missing. 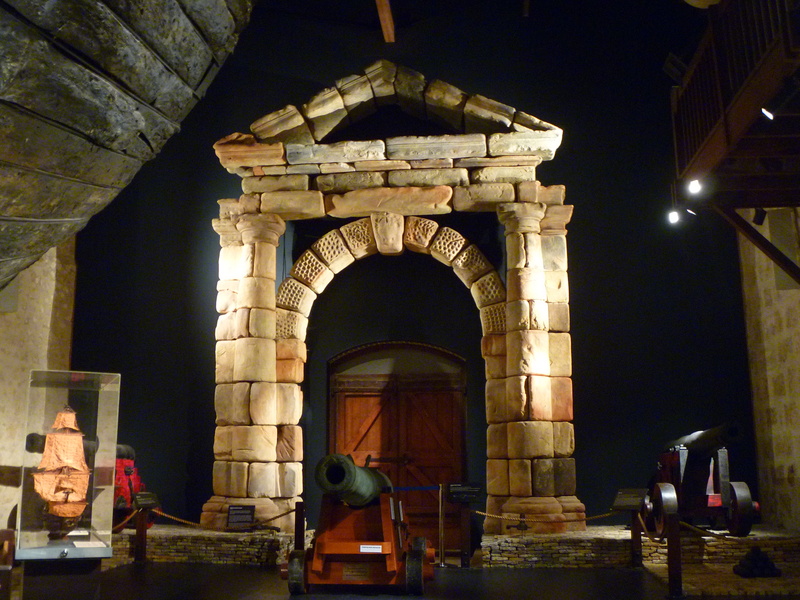 This is because the VOC ship carrying the stone pieces of the watergate, and named the Batavia, was wrecked on the coast of Western Australia in 1629 where it remained undiscovered until 1963. Marine archeologists recovered many historic items from the site including the stern of the ship and the watergate which are now on display at the Shipwreck Museum in Perth. Regretfully the Kasteel Batavia no longer exists as it was demolished by the Dutch Colonial Government and its building materials recycled to build the former Fort Cornelis in the Jatinegara area of present day Jakarta. This entry was posted in Uncategorized and tagged batavia, dutch east indies company, jakarta maritime museum, kasteel batavia, museum bahari, VOC. Bookmark the permalink.